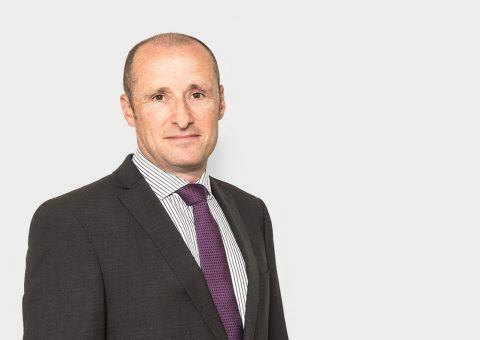 Partner Mark Dixon has built a successful career through HKA, with his work taking him around the world, and listing him in Who’s Who Legal as an expert witness and quantum expert in construction. Here, he talks about his journey, his motivations and how his expertise has become vital to clients in dispute cases. I am a Chartered Quantity Surveyor, Chartered Arbitrator and a Partner at HKA. I am a former Senior Vice President at Hill International, Partner at EC Harris LLP and Group Director at Stapleton International. I have thirty-five years’ experience in construction and engineering, and have specialised in the industrial, infrastructure and utilities sectors for over twenty of those years, with a particular focus in the onshore and offshore oil and gas sector. These projects have taken me around the world, to destinations such as Singapore, Indonesia, Australia and Canada. I practise primarily as an independent quantum expert witness and as a third party dispute resolver. I am currently handling disputes valued at over US$2 billion as quantum expert witness. I have acted as adjudicator or arbitrator on over 400 cases. Striving to provide the parties to a dispute with the right answer. I do not have a typical day. I might be managing my teams, undertaking analyses on my expert witness commissions, sifting through documentary evidence, drafting a report, attending without prejudice meetings with other experts, attending conference with counsel, giving evidence in a hearing, giving directions in an adjudication, holding a hearing or preparing a decision or award. The only common factor is that it often involves long hours to achieve the results needed for our clients. How did your specialities evolve over your career? My specialisations have been partly by plan and partly by opportunity and circumstance. I realised quite early in my career as a quantity surveyor that I wanted to work in dispute resolution. My move into that field was planned, although I initially anticipated that I would specialise as a claims consultant and dispute resolver. I did practise for a while as claims consultant and I enjoyed it. My dispute resolver practice followed. My gradual move into expert witness services was, initially at least, more as a result of opportunity and circumstance as mentioned, although I soon switched my focus to this service line once I began to develop a good reputation in the market, particularly in the oil and gas sector. Hard work, careful career planning, only accepting excellence, knowing the market and building the right relationships. WANT TO FIND OUT WHERE A CAREER AT HKA COULD TAKE YOU? Contact our in-house Recruitment Team today. "I do not have a typical day. I might be managing my teams, undertaking analyses on my expert witness commissions, sifting through documentary evidence, drafting a report, attending without prejudice meetings with other experts, attending conference with counsel, giving evidence in a hearing, giving directions in an adjudication, holding a hearing or preparing a decision or award. The only common factor is that it often involves long hours to achieve the results needed for our clients."